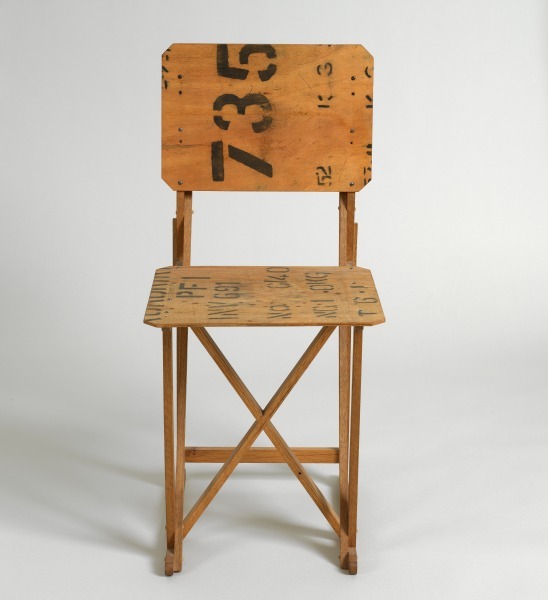 Chair made of reclaimed oak and tea chest plywood, with printed lettering on the back and seat. Reclaimed oak and tea chest plywood. Constructed using halving joints and beech dowels. 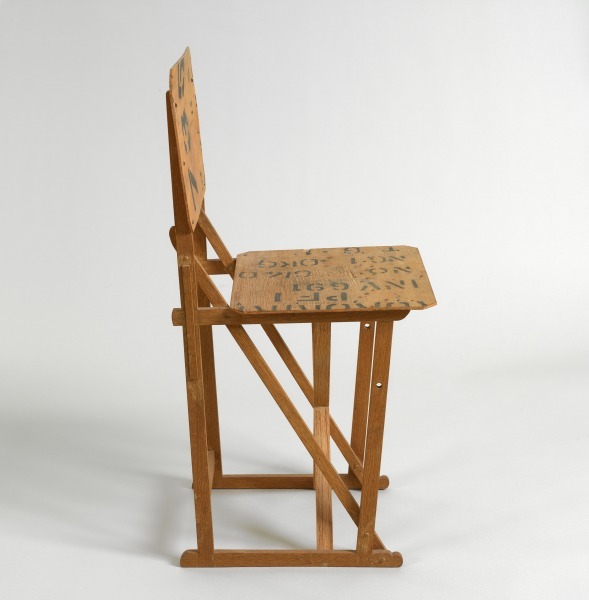 Prototype XL1 Chair, Michael Marriott, 1991, Crafts Council Collection: W100. Photo: Todd-White Art Photography.